The next, crucially important task after putting together a concise, well-organized résumé is to make sure that it is flawlessly written. The best way to ensure that is to have it reviewed and, if necessary, revised by a professional editor. Résumé editing is that important last step that should be taken before a résumé is submitted. Proof-Reading.com provides comprehensive editing services for résumés, cover letters, and curricula vitae. 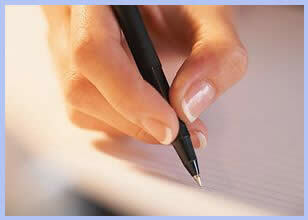 Résumé editing involves the same procedures as all other kinds of editing. The editor reviews the document, correcting errors in spelling, vocabulary, grammar, and English usage. Then, since résumés are supposed to adhere to a specific format, the editor reviews that aspect of the document, and makes necessary changes. In that sense, résumé editing is different from other kinds of editing. Contained within a résumé are many names, dates, and a great deal of other factual information. All of it must be presented in a clear, concise, and appropriate manner. Résumé editing therefore involves fact checking. If the editor suspects, for example, that the name of a college or a business that is listed on the résumé is spelled incorrectly or if there is a question in reference to any other factual detail, he or she will conduct an Internet search to resolve the question and solve the problem. Résumé editing is the vital last step in the résumé process. Before the serious job seeker submits that all-important summary of achievements to a prospective employer, he or she should have it reviewed by a professional editor.